In an ongoing struggle to keep up with Google Maps, Apple continues to acquire map-centric companies, the latest of which is Embark Inc. 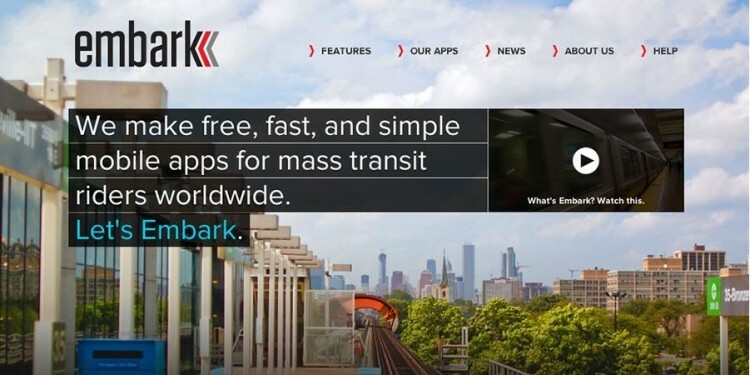 According to the company website, Embark makes “mass transit simpler”. It also helps users plan trips, providing them with interactive maps and up-to-date alerts. Currently, the free app is supported in several major cities including Boston, Chicago, New York, San Francisco, and Washington DC. Jessica Lessin, a former reporter for the Wall Street Journal, first broke the story on her yet-to-be named technology news publication. The acquisition was reportedly confirmed by an Apple spokeswoman, who later used the blanket statement, “Apple buys smaller technology companies from time to time, and we generally do not discuss our purpose or plans”. When the home-grown Apple Maps launched last fall, the tech giant announced that public transit features were coming soon. These types of capabilities would eventually help people to predict the arrival of trains and buses, making travel coordination significantly easier. Unfortunately, Apple Maps was criticized for its poor performance and numerous inaccuracies; some of which included a city being marked as a hospital and a nursery misidentified as an airport. Rather than releasing these features to an admittedly buggy interface, Apple redirected its users to third-party apps – one of which was Embark. From Embark’s point of view, the buyout makes plenty of sense. Although they already have nearly half a million people using their service and recently received an investment from BMW last November, they still face considerable competition from other mapping apps such as iTransitBuddy and Rover. And much like Embark, these companies were also promoted by Apple amidst their Apple Maps debacle. As the land grab for mapping companies continues to develop, the industry is effectively a two-man war between Apple and Google. Over the last two months alone, Apple has also acquired transit information companies Locationary and HopStop, while Google has snatched up traffic specialist Waze.